Forget hygge–it’s time to blow out the candles and get out into the world! Journalist Katja Pantzar did just that, taking the huge leap to move to the remote Nordic country of Finland. What she discovered there transformed her body, mind and spirit. 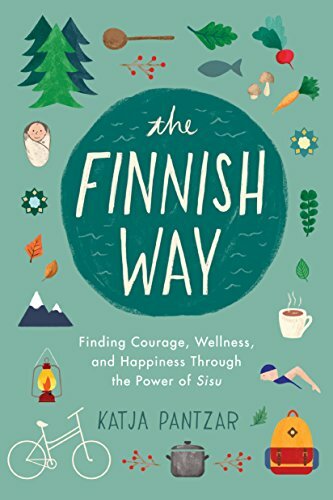 In this engaging and practical guide, she shows readers how to embrace the “keep it simple and sensible” daily practices that make Finns one of the happiest populations in the world, year after year. * The gift of sisu: Why Finns embrace a special form of courage, grit and determination as a national virtue – and how anyone can dig deeper to survive and thrive through tough times. If you’ve ever wondered if there’s a better, simpler way to find happiness and good heath, look no further. The Finns have a word for that, and this empowering book shows us how to achieve it.